Do ghosts exist? 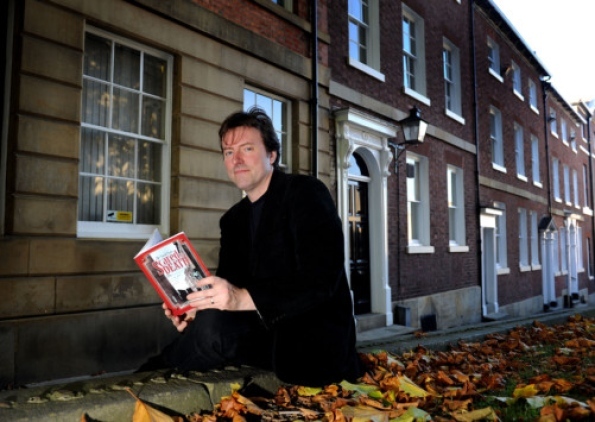 Author David Clarke talks to Steven McClarence of The Yorkshire Post about things that go bump in the night. Three days before Christmas in 1855, a ghost story brought Charles Dickens to Sheffield. The 43-year-old author, brimming with what a local newspaper called “his genial manner and fine spirits”, stepped out on stage at the Mechanics’ Institution to find a full house waiting for him. After giving him “a hearty cheer”, they settled back to enjoy one of his celebrated readings of A Christmas Carol, his ghost-ridden morality tale. At the end of the reading, the Mayor presented Dickens with – this being Sheffield – a range of cutlery, including a pair of fish carvers, everyone cheered again, and Dickens left on the overnight mail train to London en route to Paris. Author Dr David Clarke – a man, as we shall see, with an intergalactic dimension – has unearthed this footnote of Yorkshire literary history while researching his latest book, which, aptly enough, is about ghost stories. Just nine months before Dickens came, Clarke has discovered, the city was gripped by a spectral event that gives the book its name: Scared to Death. You can continue reading Steve McClarence’s feature, published in the Yorkshire Post Magazine on 19 October here. This entry was posted in Uncategorized and tagged A Christmas Carol, Charles Dickens, ghost stories, scared to death, Sheffield, Steven McClarence. Bookmark the permalink. The YP link seems to be broken. Spooky! Should be working now. Cracking write-up, looking forward to reading it. 😀 I have to admit to being fascinated with so many reports of Spring-Heeled Jack yet not one person has been named. It’s the same in my local area historically with Black Shuck’s attack on Blythburg Church – claims that hundreds saw it yet the only one named is Abraham Fleming who appears to have not even been there at the time. Sounds just brilliant! Great to hear about where Dicken’s interest in ghost stories might have come from!